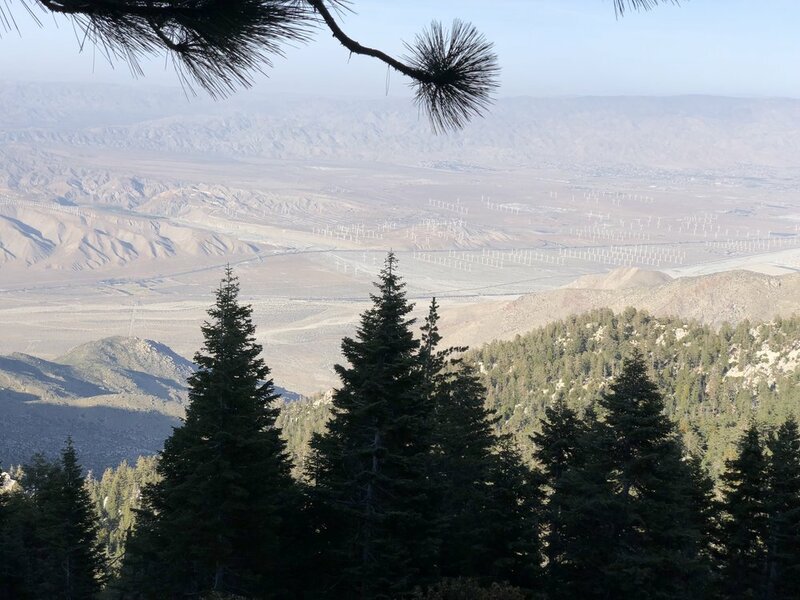 I had intended to write this post in Wrightwood, California. But I got distracted by the opportunity to eat real food, so that's what I did on my spare time. Rather than regaling you with tales showcasing my prowess as a hiker, I'll share a few shots of what I saw. 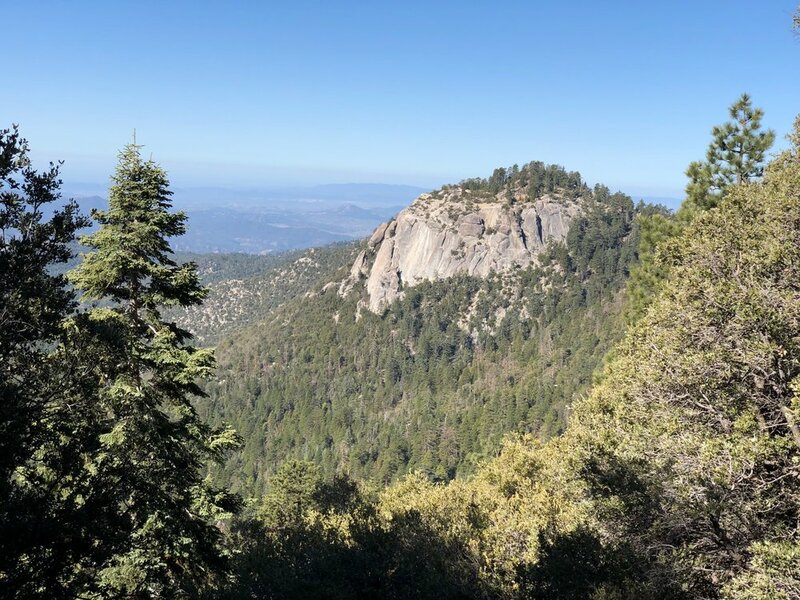 Here are the views climbing out of Idyllwild. If you squint a little you can see I-10 in the distance. A trail angel brought cold drinks and fresh fruit for us hikers. What a delight! First good view of the snow on the mountain near Big Bear. Under I-10 there was more trail magic and a fellow hiker named Cal. People on the trail keeps getting us mixed up. I must admit he is a rather dashing fellow. Burned right through my first pair of shoes. Once I got to Big Bear I purchased new socks and shoes. After this change my toes were feeling good! Big Bear and surrounding mountains. 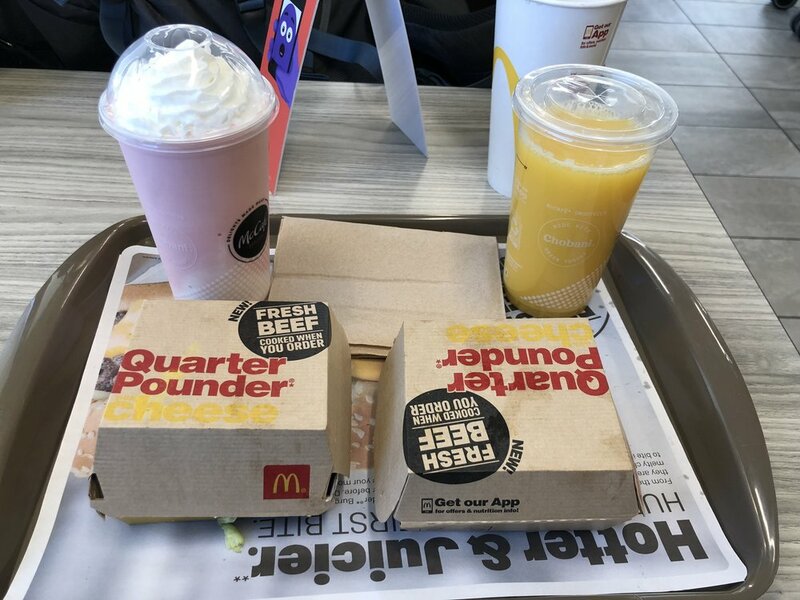 At the McDonald's near where the PCT crosses I-15. Question was, did I order enough food? Nope! I got another large OJ and a cup of ice cream. Deep Creek lived up to its name. It had some beautiful water and deep pools. Mountains in the Angels National Forest. Estimated to be about 1,500 years old, this tree is about as old as I am. The highway you can barely see in the forest is CA 2, or more commonly called Angels Crest Highway. It would be a fun ride on a motorcycle. In fact, I think I'll do that after the PCT. I believe the saying goes "black on yellow kill a fellow." 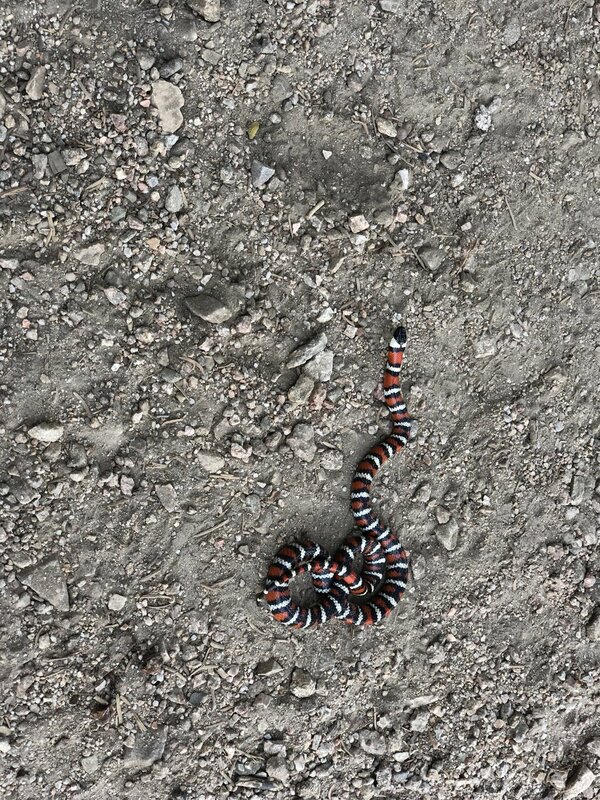 This is a Sonoran Coralsnake.